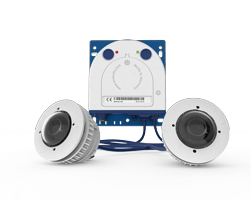 Now with H.264, ONVIF and RTSP support – The compact Mobotix S16 DualFlex is a universally deployable and easily concealable camera system with a highly detailed resolution of up to 2 x 6 megapixels. 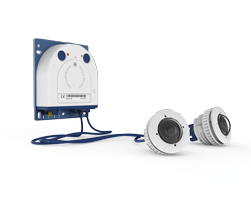 The fully weatherproof IP camera has two miniature sensor modules, which are each connected to the camera housing with a sensor cable. Thanks to the hemispheric dual lens, two separate rooms can be secured simultaneously without any blind spots. 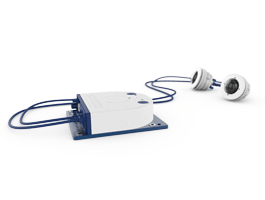 The new thermal sensor modules measure the thermal radiation of objects, so that they can function in absolute darkness. Together with the new MxActivitySensor, they can reliably detect motion in images at night. Only changes in position trigger a signal. Objects moving on the spot do not trigger a signal. 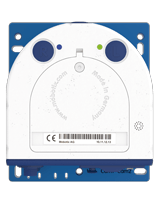 The thermal sensor modules also have an advantage during the day since they can detect moving objects in shadows, semi-darkness, smoke, or behind bushes. 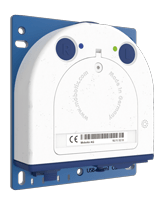 Options are avilable with 1 x thermal sensor module, 2 x thermal sensor modules or 1 x thermal sensor module and 1 x Standard Day or Night sensor module. 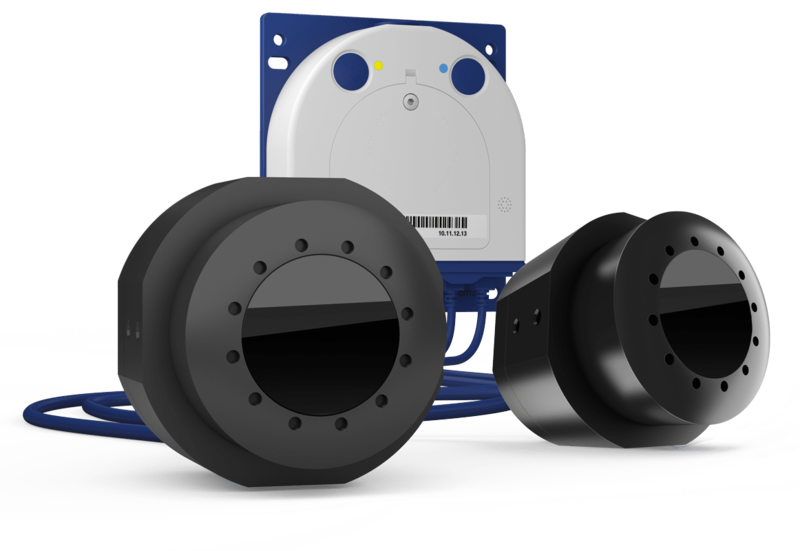 This is the most flexible approach to thermal cameras available – No calibration or mechanical servicing required. Options listed are with no sensors or 2 sensors, other options are available please contact us for more details.